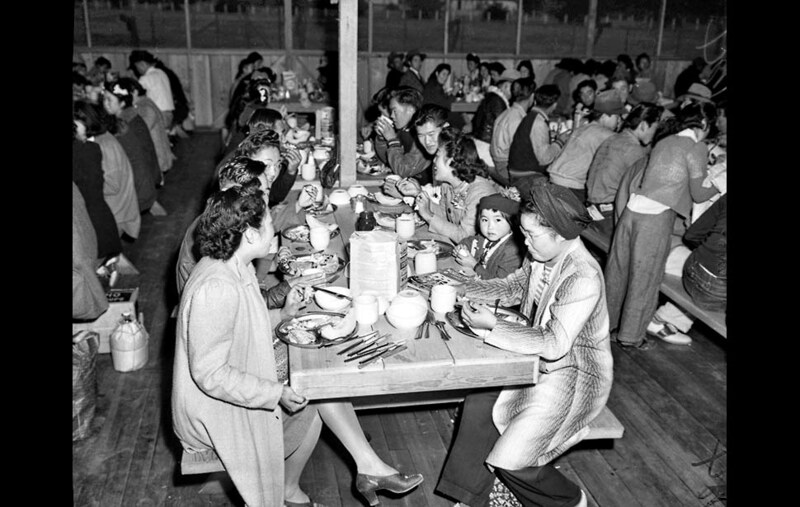 Sep. 22, 1942: Before departing for Rowher, Ark., Japanese internees get breakfast in the Santa Anita Assembly Center mess hall. Breakfast consisted of bacon and eggs, fried potatoes, melon and coffee. This photo was published in the Sep. 26, 1942 Los Angeles Times.